It is not enough to simply hire a good professional to install a Santa Barbara roof. In order to ensure that the roof looks great for many years, it is important to maintain it regularly. 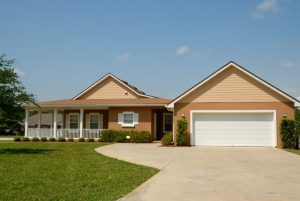 The homeowner should give the roof enough attention and service it regularly, just as they would maintain any other part of their home. Regular and timely maintenance will help to prevent Santa Barbara roofing problems. However, if the homeowner does not maintain the roof, they will be forced to repair or replace it. This usually takes a lot more time, and it will require more effort and more money. What causes roofing problems, and how can homeowners avoid this? One of the major factors that causes roofing problems is climatic conditions. Depending on where the person lives, harsh weather elements can significantly damage the roof over time. The best way to ensure that the weather has little impact on the roof is to choose the right materials from the start. There are quite a number of high quality roofing materials that are very durable and that could serve the homeowner for more than 25 years. One of the best materials for roofing is metal. This is because metal is very durable and lightweight. It is also fire and wind resistant. Furthermore, it requires very little maintenance in terms of cost and effort. The metal roofs can be made from aluminum, copper or steel. In order to improve their aesthetic appeal, the homeowner can paint them in any color that they please. Who should be responsible for roof maintenance? Even with the best roofing material, it is important to maintain it once in a while. For example, the metal roof can be repainted in order to give it a fresh and new look. It can also be painted in order to reduce the risk of corrosion which can cause holes on the roof. It is important to hire a professional to deal with roof maintenance. When choosing a Los Angeles roofing contractor, it is important to ensure that they are licensed, and that they have the proper certification and insurance. They should have a good reputation, as well as a physical office or address. Avoid people who work from their pickup. Also, avoid the storm chasers who will knock on your door to offer their services. Instead, look for referrals or people who have a sign, a website or an office. Even with proper maintenance, it is advisable to replace the roof after every thirty years. This is because by this time the roof has served its purpose and is probably old and worn out. Modern roofing can provide you with roof maintenance services that will help you to avoid roofing problems. Furthermore, when the time comes to replace the roof, they can help you to install a good and high quality roof.